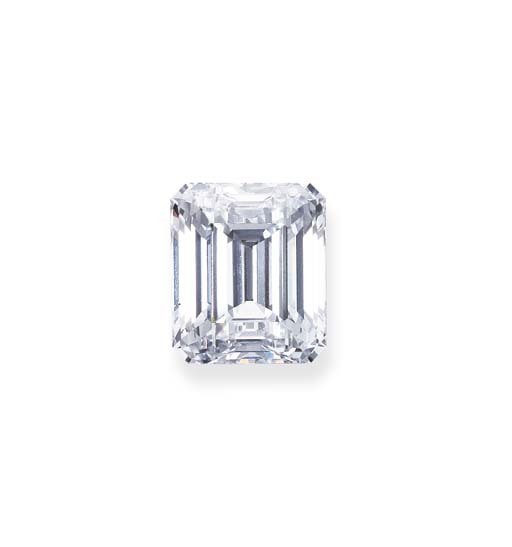 This large emerald cut diamond is coming up for sale at Christie's St. Moritz location on February 19th, 2004. It is part of sale #1314, and it is lot #388 -- the final lot in the sale. The stone is D-color and VS1 in clarity. One of the largest white diamonds I have seen come up for auction in some time, along with the 103-carat D-IF cushion shape that failed to sell back in October of 2003. 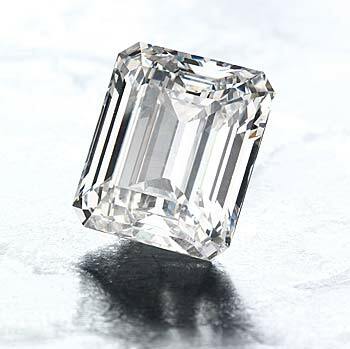 The estimate for this diamond is 1,950,000 to 3,900,000 Swiss francs, which equates to about $1,577,860 to $3,155,720 US (exchange rate for February 13th). I will update this section of the site when the sale is over.